Pulp and paper industry across the world is different and in Russia it is different. Got confused, there is a difference in pulp and paper industry of Russia in its investments because they still hoping for the strong investors to compete with global competitors in global market. Even Russia is a big business center for paper and pulp industry but their financial investment needs to be improvised. But it was the previous discussion on the industry whereas now, financially strong companies in Russia are keen on investing in its domestic pulp and paper industry from last two years. There are key international players in the list of investors and there is an exception for the bodies that has stake in international paper. Beside this matter, the packaging segment has changing to modern and for example it is at least making progress towards the modernization for particular products or start-ups for paper machines which run as second-hand. There are certain followers to observe in this concept interestingly as medium sized companies in packaging industry are at continental management and planning to make investment for certain services and facilities simultaneously. 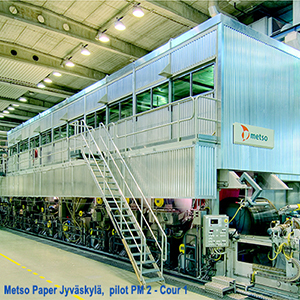 The one more interesting report is that a subsidiary of Investlesprom has initiated a start-up for the making of paper with machinery in the 2011 and targeting to become first paper manufacturing company in Russia. Manufacturers of newsprint and their enlargement in capacity on another face of the coin is seems to put on back burner. In Russia we can observe the output of newsprint as 2 million tons annually and where it is 85 percent for the accountability by the Russian companies. However, these companies along with additional players declare to have intricate and finalized plans for projects for fresh capabilities that they are incapable or reluctant to realize on their own. According to the Russian players, there is a shortage for venture capital and setting up all is very difficult for starting a new paper mill capacity is sick in terms of raw-material market. From the expert point view, future developments in forestry infrastructure to the extent getting required wood for manufacturing that paper is a critical aspect. There is a close angle for china in this perspective to offer good prospects for business in Russia. Experts also observed fair prospects in Western Europe. One of the diversification observed by experts is in terms of Russian management and their attitude towards partners can transform. Internal factors are convincible for Russia in forest business has boom and when technology aspects go for outsource, Russia will never grow in its lip service to strengthen.